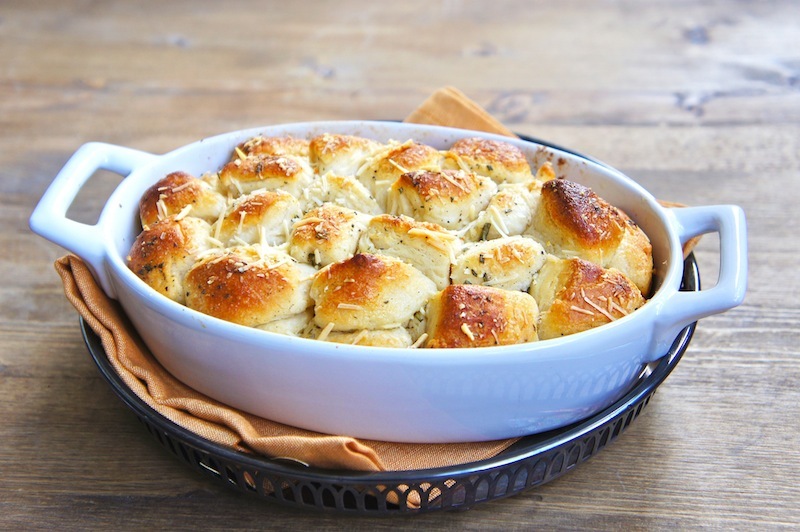 The smell of this baked delicious Parmesan, Herb, And Garlic Pull-Apart Bread could just take your breath away! The smell and taste of this bread just goes fantastically with any traditional pasta dish. 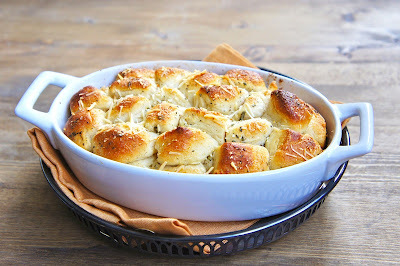 Simply flavored with some rosemary garlic butter, it's so easy to make and everyone will just love it! Separate the dough and cut each into quarters. 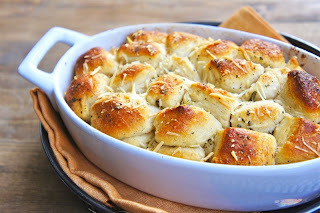 Dip the dough in melted butter, and layer the dough in the baking dish, sprinkle some Parmesan cheese, sea salt, and continue to another layer of dough, sea salt and cheese. Bake for about 20 minutes or until the top is golden brown in color. Serve warm.